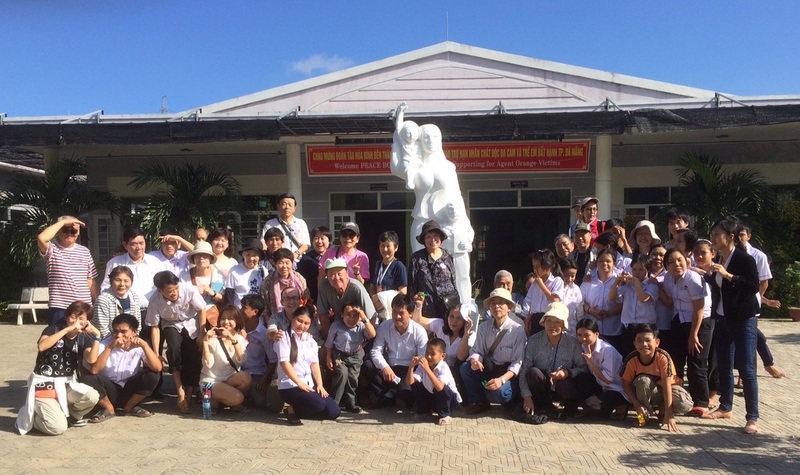 In December 2015, I was invited aboard NGO Peace Boat's 90th worldwide voyage to give a series of lectures between Yokohama, Okinawa, China and Vietnam. Throughout the 20th century, the region witnessed appalling conflicts; today it is the site of increasing tensions as neighbouring nations and the U.S. jostle for control of marine territory. Given this history - and the risk of future outbreaks - it is important to have a clear understanding of the region and some of the problems it faces. ​Knowledge is the most powerful tool to build peace and reduce reliance on militarism. In the Cold War, the US military nicknamed Okinawa "The Junkheap of the Pacific". For the past decades, the Pentagon has poisoned the island's sea, land and air with a range of chemicals including dioxin, PCBs, depleted uranium and nerve gas. This lecture explores the impact of this contamination on the environment and residents - both American and Japanese. For the past 60+ years, Okinawans have waged a campaign of non-violent civil disobedience against U.S. military discrimination, crimes and theft of land. This peace movement ranks alongside Gandhi's and MLK's in terms of persistence and inspiration - yet little is known about it in mainland Japan or around the world. This lecture traces Okinawan civil disobedience from its semi-mythical origins in the Ryukyu Kingdom through the time of "Bayonets and Bulldozers" to the present day struggles at Henoko and Takae. In 2010, Japan's world press freedom ranking was #11 but by 2015, it had dropped to #61. Since coming to power in 2012, Japan's LDP has launched a war of attrition on press freedoms in preparation to join U.S. wars worldwide. This lecture explores the importance of the media, my own roots as a journalist and the role of investigative journalism in holding the powers-that-be to account for their misdeeds. During the U.S. war in Vietnam, Okinawa played a key role in the Pentagon's war machine. Likewise, the South Vietnamese city of Da Nang served as one of the military's most important staging posts for the conflict. Today, both Okinawa and Da Nang are struggling to come to terms with dixoin contamination. This lecture examines Washington's usage of both Okinawa and Vietnam as laboratories to refine killing, the racist underpinnings of U.S. intervention in Southeast Asia and the demonstrations - backed by Japan's Article 9 - which kept Japan from following Washington into this doomed war. During the American War in Vietnam, the U.S. military stored and sprayed massive volumes of dioxin-tainted defoliants in Da Nang and its environs. Today, DAVA estimates that approximately 5000 residents are living with the effects of dioxin exposure. 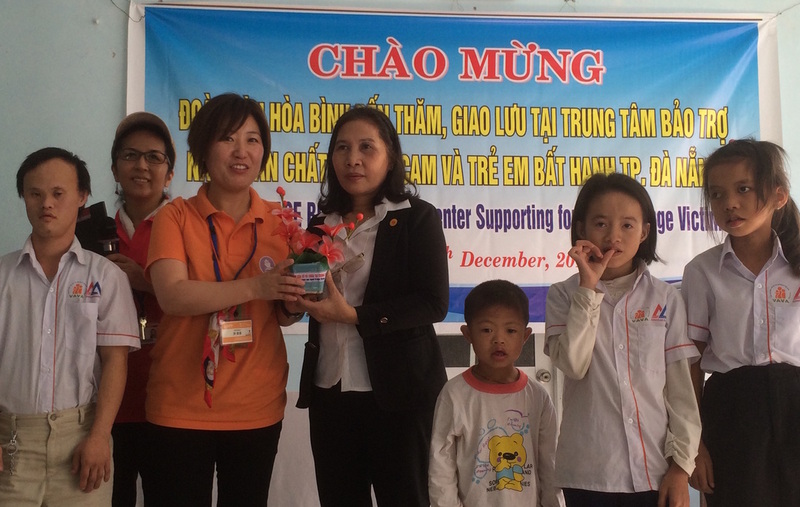 On Christmas Day, Peace Boat passengers visited DAVA to learn more about Agent Orange and see how the association helps dioxin survivors by training them in vocational skills, offering business start-up grants and conducting home help visits. Peace Boat passengers also donated school supplies and other items to DAVA.